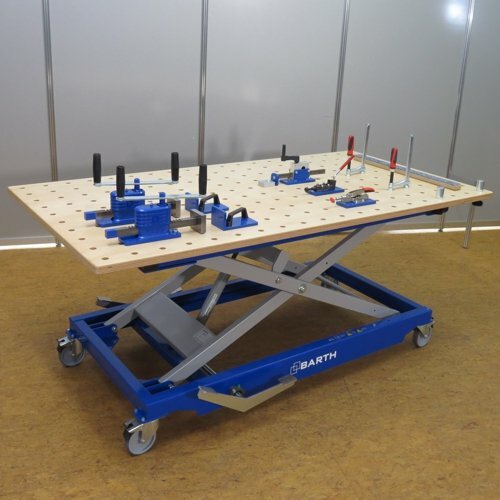 The BARTH lifting table 350 XL is a modern, mobile lifting table with large worktop (multiplex plate 2,000 x 1,000 mm / 78.7 x 39.3 inch) which individually and ergonomically adapts to your workpieces and especially to your posture. 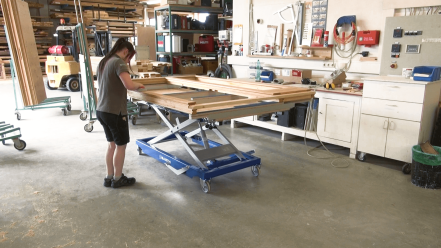 In the standard version, height adjustment is achieved by a foot-pumped hydraulic system, operated on both longitudinal sides. 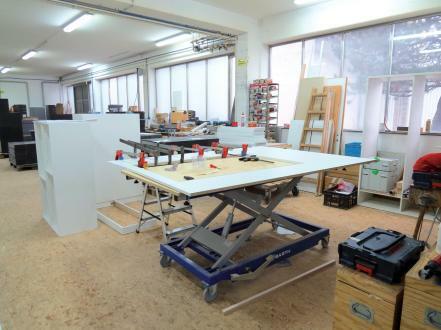 The easy-to-operate hydraulic unit always drives the worktop to the desired height position. 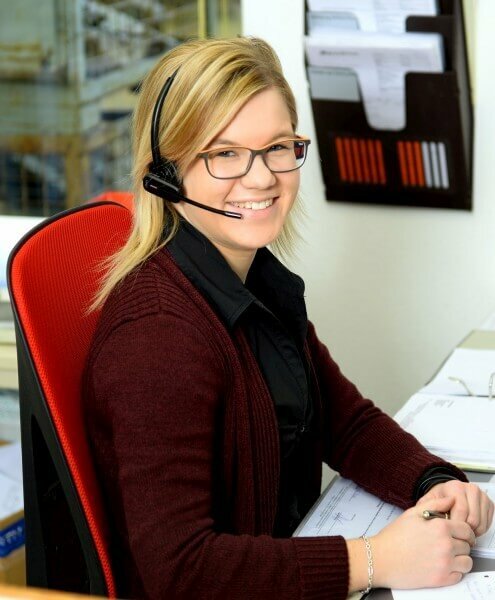 The large adjustment range from 500 mm to 1,150 mm offers you the advantage that both small and large workpieces can be processed at a comfortable working height. 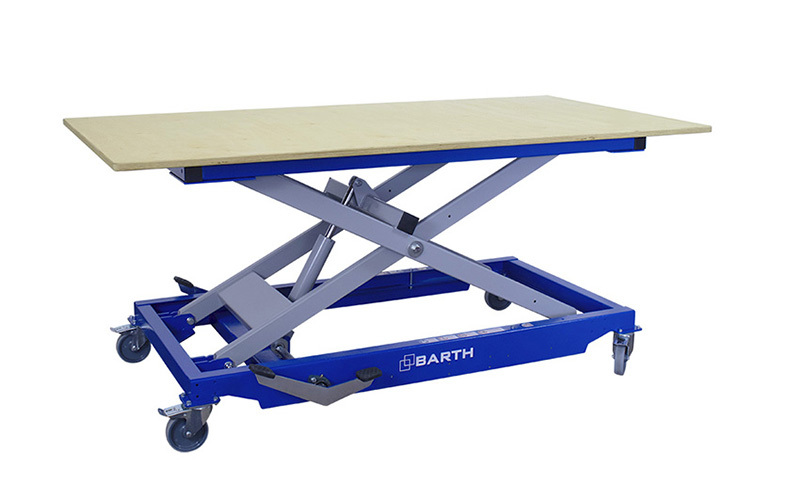 As an option, the BARTH lifting table 350 XL is also available with a hole plate for the use of additional clamping tools. 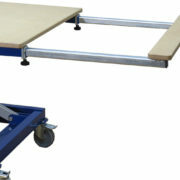 This base version can be easily and individually adapted to suit your requirements with our range of accessories. 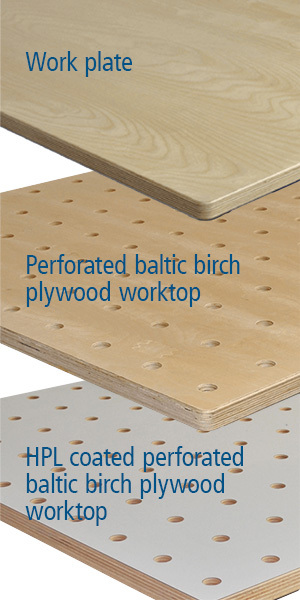 Further optional accessories such as perforated Baltic birch playwood work tops, longitudinal extension of 550 mm on booth sides, longitudinal/cross stiffening etc. available. 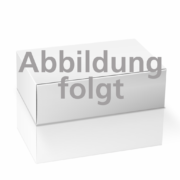 For even more flexibility, we have three variants for the height adjustment.